Mrs. Manelski’s APS Group, image via Padua Academy on Facebook. 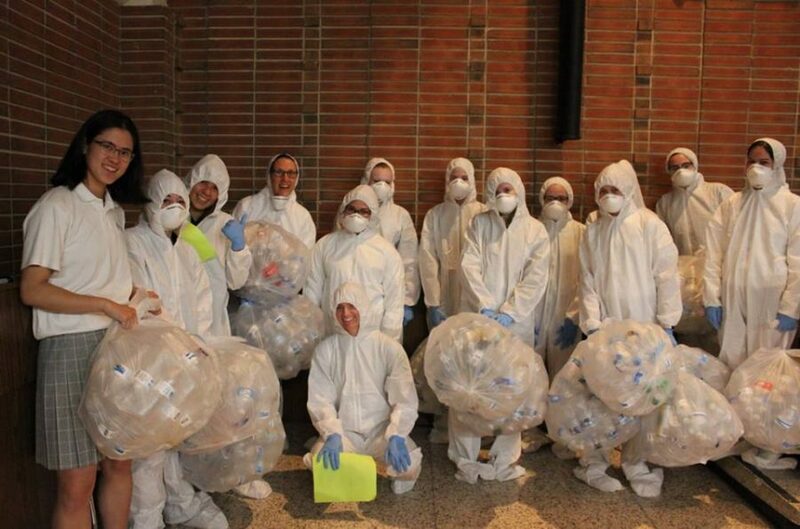 Mrs. Manelski’s APS Group recognized the lack of recycling that Padua students do within the building and wanted to take action in any way possible. In their plan, a new water fountain would be installed in the cafeteria that would be a water bottle refill station. The water station currently there would be moved to the gym for athletes and classes on the higher level floors would have easier access to clean water without having to use a plastic bottle. This would tremendously decrease the amount of plastic used each week at Padua, helping to decrease the carbon footprint that we are leaving on the earth.